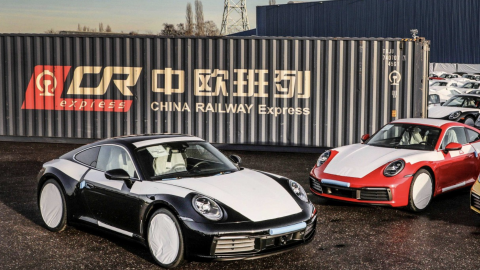 Porsche will transport some of its car fleet destined for China per rail, starting this month. 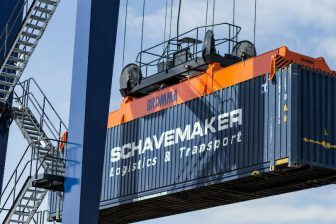 “After a successful test period, the transport of Porsches on the New Silk Road starts in April”, the company announced. By train, the total journey takes twenty days, three weeks faster than by ship. In Europe, Porsche has been using the train for the delivery if its high-end cars for many years. It will now do the same for shipment to China for a part of its production line: 11 percent of all models destined for China will hit the rail. The route runs along the New Silk Road. 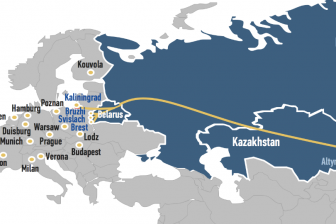 The 11,000-kilometer route takes the cars from Germany via Poland, Belarus, Russia and Kazakhstan to the Chinese metropolis of Chongqing in the southwest of the country. From there, the Porsches are delivered to regional dealers. In 2018, 31 percent of all Porsches produced were delivered to China. This makes China the most important individual market for the sports car brand. Every year, around 80 thousand Porsche models make the approximately 18,500-kilometer journey by sea to Guangzhou, Shanghai or Tianjin. Transport from factory to dealer takes more than 50 days. 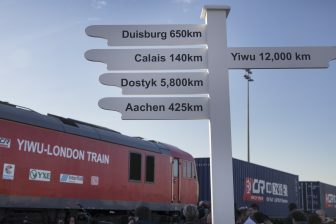 The transport of cars on the New Silk Road is not a novelty; various manufacturers have moved their automotive products by train between Europe and China. For example, Volvo has been an active shipper of its cars made in China to destinations as Russia and Belgium. Chinese car manufacturers are also actively settling in eastern European countries, where they produce new products that are then transported further onwards to western Europe. Examples are BMW, Audi and Mercedes. Porsche is somewhat of an example, shipping Europe-made cars to China instead of the other way around.